Installation instructions included this time. Update: Also made a small installation script. 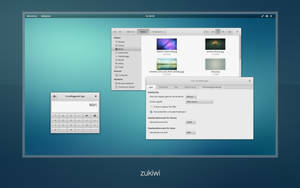 If you're using metacity instead of emerald, this theme will look perfect with my Zuki metacity theme. 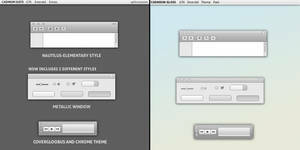 This theme is designed to be used with the included panel background. It will look horrible with a solid colored panel! 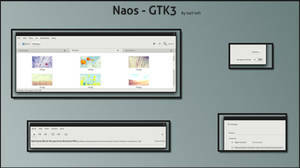 - Added a GtkRange pixmap slider. The murrine one had a bad contrast. 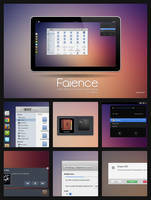 Too bad this is just for Linux. 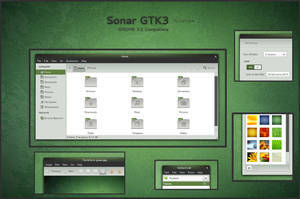 please port it to gtk3. 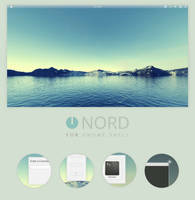 this is one of the most beautiful gtk themes I ever saw! 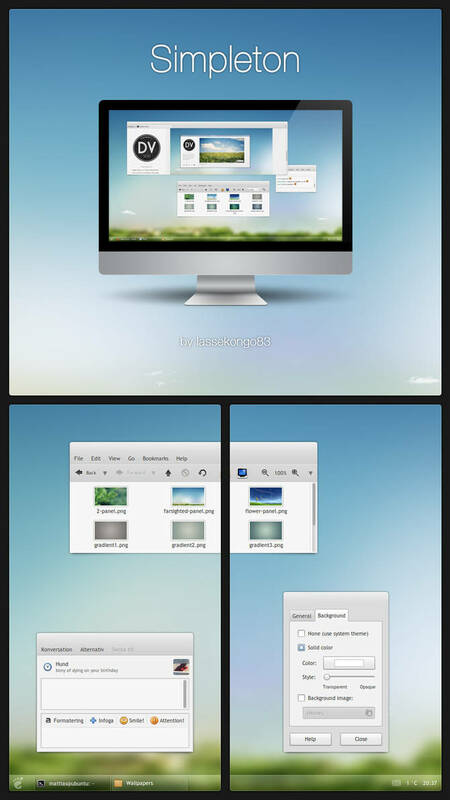 wonderful theme .. have you thought about porting gtk3? 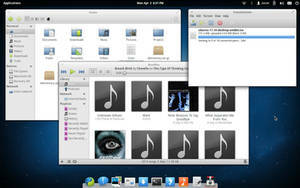 Transmission and file-roller are using GTK3 by now. 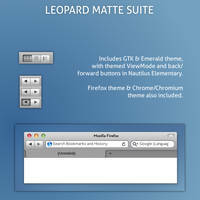 This theme is only for GTK2 and therefore it would have to be completely rewritten for GTK3. 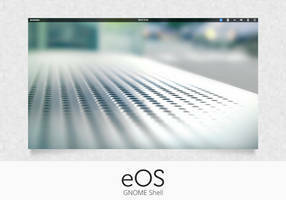 That's Gnome 2 with gnome-panel and not the window list extension for Gnome-shell. Hmm. I guess that's application specific or something. I know what you mean now, but I have no idea if there's anyway to remove it. 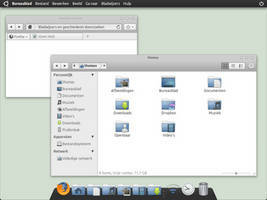 hello, currently i am using lxde, and i was wondering if you knew of a good panel image to go with this great theme? 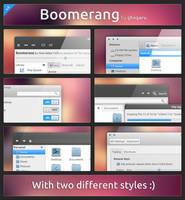 And sorry about this other question, but how did you manage to use both aplications launcher and panel minimalizer? Thanks! Well, that was sorta dumb. I managed to create the icon with all the apps and the window grouper in one bar. Preeeetty beautiful theme! Using it now with some tweaks! Now, could you answer me one doubt? Which one is that IM client? Looks pretty decent with the theme! I'm using emesene and I'm kinda unhappy with it. wow, this looks very good. I like the clear look but also with the strict borders. Very good, thanks for this ! Will this work on Ubuntu 10.10? I'm still quite n00b when it comes to compatibility knowledge. Wow! Great work! Now using on my Ubuntu setup! Thanks! what can i do to get these awesome tool-bar working? Why dont you work with the guys of the elementary-project(.com) ? Oh, the panel is AMAZING! Good work, bro! Amazing job man, it's superb! Nice. Similar to elementary though but nice. you are back in force! coming from you, don't expect less. Great and Awesome as usual! 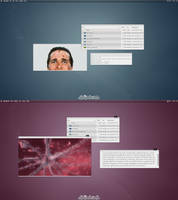 This is amazing and I put it between my fav even I dont use Linux.